Budget Rental Cars in Aruba, and its Director, Larry Nyack, couldn’t have started smaller – or come further over the last 50 plus years of serving visitors, local residents, and government agencies on the small Caribbean island. “The business started in 1962,” he says. “It’s a family business. But the family had limited funds, and we started with one car. It was rented for seven dollars a day. It was a Fiat that was so ancient that the doors opened front to backward. But that was a long time ago.” Larry also points out that the business was started with his mom, Decima Richardson, and her husband at the time, Joffre Richardson. His mom will be 90 years of age and still goes to work on a daily basis. Total dedication. Happily, for a company that only had one old car when it began, tourism began to grow rapidly over the subsequent years, and as a result, this family business was able to take advantage of Aruba’s burgeoning popularity. “In 1967, we had 54 cars,” he exclaims, proudly. In the early years, the business remained independent, but the family soon saw the advantages of partnering with a major agency. “We wanted to increase market share, and that was somewhat limited going as an independent. A brand name means a lot,” he explains. An early alliance with Hertz didn’t work out, so the family reached out to Budget in 1977 requesting a franchise. The resulting venture has clearly been good for both parties. 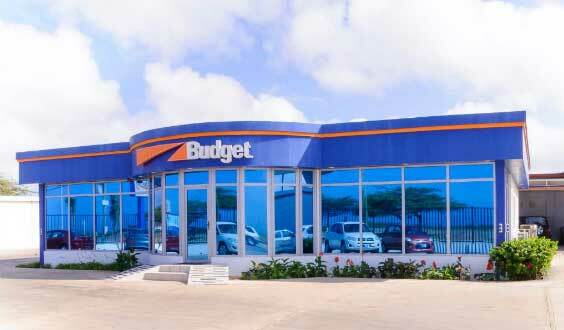 Today, Budget Aruba has a fleet of 343 vehicles and about 33 employees serving its customers’ car rental needs. Another aspect of the car rental business model is regular turnover. According to Nyack, all automobile rental companies have to retire their cars after five years on the road. 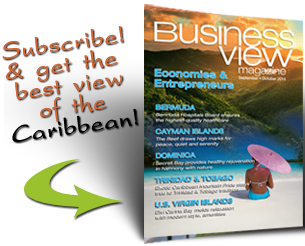 Budget Aruba replaces 25 percent of its fleet on an annual basis. “Some of our competitors are car dealers, and as a result, it’s a lot easier for them to get rid of their used vehicles,” Nyack notes. “We have to depend on the market.” In order to entice customers into purchasing their used automobiles, Budget Aruba puts all of its retiring models through a thorough maintenance program. “We’ll change everything that would not last a year,” he says, “and over the years, we’ve developed a strong clientele base. We’re selling 81 cars this year, and we’re buying 111.” In order to stay financially solvent and manage the constant turnover, bank financing is imperative. “We will come up with 30 percent of the cost of the cars, the bank will come up with 70 percent, and we’ve got a 36 month loan,” he says. Nyack stresses the appreciation that he has for a dedicated and hard working group of employees. Teamwork is a norm at Budget; everyone joins in on difficult days and solves problems together. Although the group is too large to cite here, Nyack wants to mention a key employee, Ms. Lisette Yarzagaray. Lisette began working for Budget in September, 1991. This was her first job and she is presently working in the capacity of Office Manager. Dedicated, hard working, and knowledgeable, this model employee handles all aspects of the operation. Good vehicles, competitive rates, and personal service are the hallmarks that should keep Budget Rental Aruba thriving for another 50 plus years.